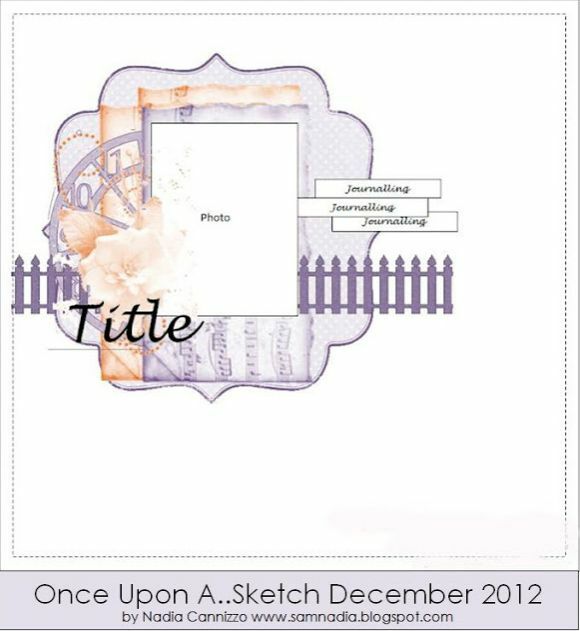 Erin Blegen: My Scrap Cabin: Once Upon A...Sketch: December~! Hi everyone :). I'm in the middle of making delicious Oreo Truffles (ever had them? ), but while they firm up a bit in the freezer, I thought I'd hop on here and share with you this month's sketch challenge over at Once Upon A...Sketch~! This is my beautiful baby girl Aspen out playing in the yard not long ago. We didn't have any snow at that point, but it was definitely cold and she was just so precious in her warm little sweater and winter hat :). My hidden journaling is on the tag to the right of my photos. The chipboard Polaroid frame is from Scrap FX. Of course, there is a HUGE lineup of prizes to be won, so you'll definitely want to put this challenge at the top of your to-do list! See the full list of goodies HERE, as well as official rules and how to play :). Erin... It's perfect, perfect, perfect... I can't say nothing... Congrats!!!! You rock!! 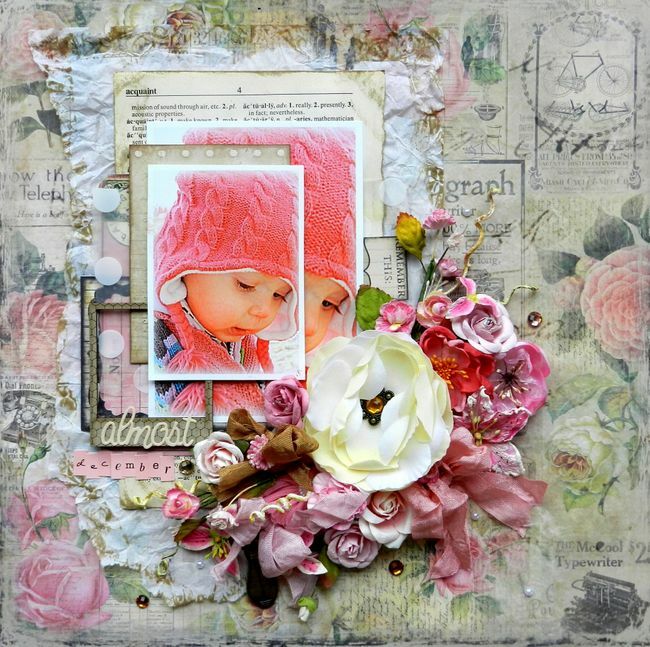 Gosh this is marvellous ...the pics & those amazing flower clusters & layers...really lovely. New fave!!!!! Mmmmm!! Oreo Truffles are so yummy! :) Love the layered photo on this Erin, in the different sizes! And great title placement over the little Polaroid frame! It is such a gorgeous girly lay-out! That photo is really sweet and your lay-out beautifully reflects the soft feel to it. Skønt LO, med din dejlige lille Aspen, dine farvevalg er som sædvanlig så smukke og piget. knus morkaren. Erin this is so so stunning. It has gone onto my faves list. The colours are beautiful, love the double photo and the florals, de lish. Wow! This is just absolutely gorgeous!!!!! Oh my oh my!! This is stunning!! Lovely details!! LOVE it!! Oh my! This is truly gorgeous! The background is beautiful as well as the cluster of flowers and bow. Never had oreo truffles--sounds delicious! Oh this is stunning, I love the two sized photos together, that wonderful cluster of flowers, the whole page is beautiful.. love it..
Ooooh I need to know more about those oreo truffles!! My diet is on the downhill slide & I need to make hay while the sun shines!!!! Erin your projects honestly make me want to weep with joy. This is such a beauty I could just cry - in a GOOD way. That photo is absolutely precious & everything about this is 100% stunning! !